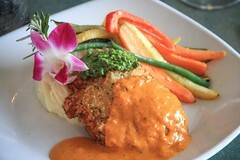 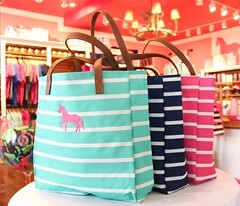 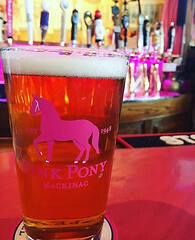 If you’ve been to Mackinac Island, there is a very good chance you’ve stopped by the Pink Pony. Perhaps someone said, “Meet my at the Pony.” Or you just wanted to “pony up” to the legendary serpentine bar. 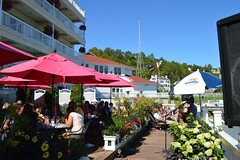 Or maybe it was just time to have “yachts and yachts of fun”. 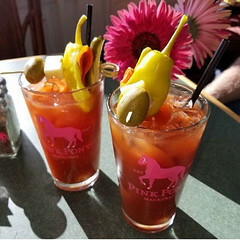 The reasons are many but just to help out we’ve gathered together our TOP FIVE reasons to visit the Pink Pony during your trip to Mackinac Island. 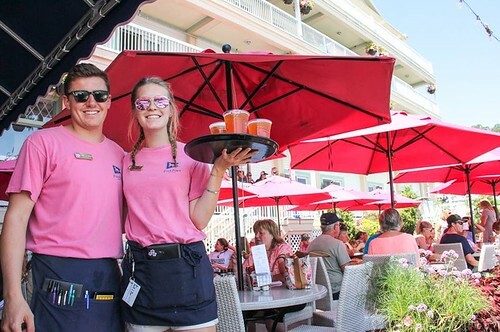 Truly an iconic Michigan stop, the Pink Pony Patio offers great views of the Mackinac harbor, fresh air, afternoon entertainment, and a 25 person jacuzzi tub. 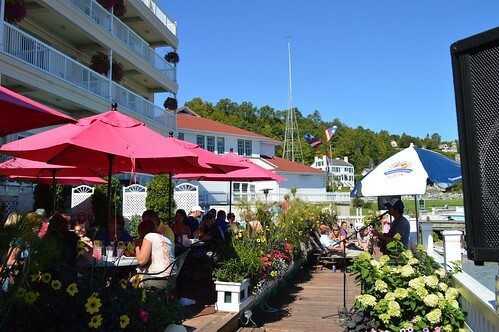 Grab a seat under a pink umbrella, stretch out on the deck, or post up at the waterfront bar. 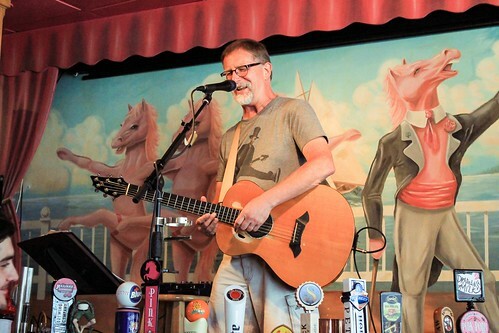 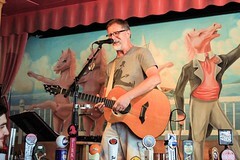 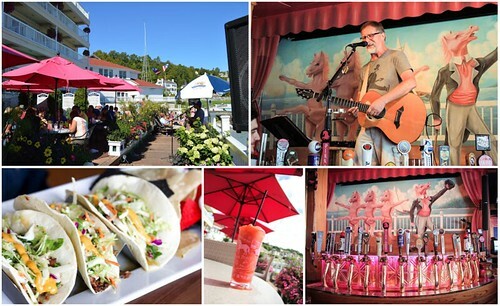 The Pink Pony is the only place on Mackinac where you can hear live music twice a day! 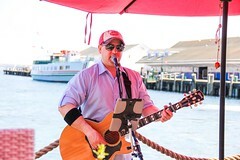 Talented local musicians accompany the afternoon sunshine on the patio. 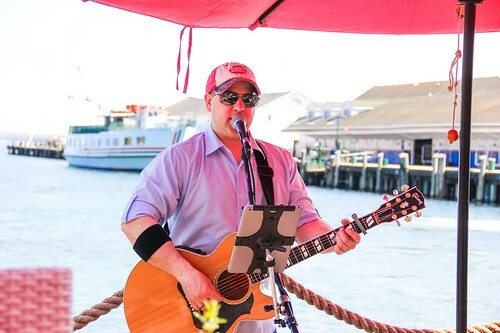 After dinner, head on up to the main stage and enjoy the Pink Pony nightlife, led by house musician Myk Rise (pictured), who is famous for his rendition of Cecilia by Simon & Garfunkel and much, much more! Relax during your Mackinac vacation with a specialty cocktail from the Pink Pony! 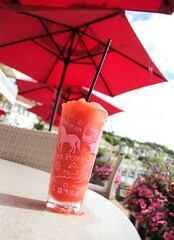 The Rum Runner at the Pink Pony is a famous Island recipe of premium rums and fruit juices, served frozen and recommended with a floater. 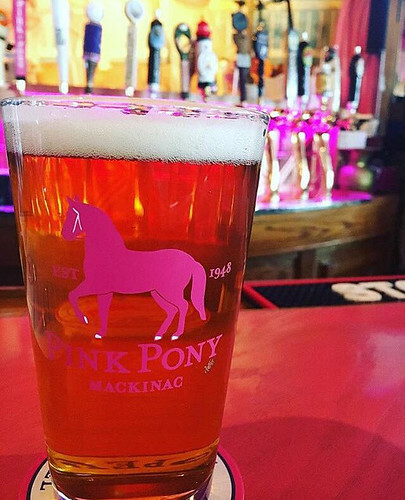 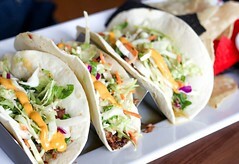 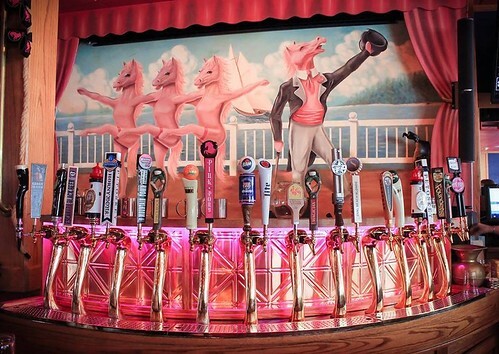 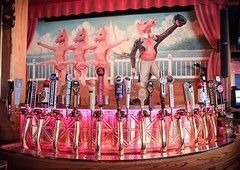 In 2015 the Pink Pony expanded their draft beer menu from 6 taps to 24 taps, giving craft beer lovers a bountiful selection of great brews, many made in Michigan by one of the state’s renowned craft breweries – Founders, Bell’s, Short’s, Mt. Town, Upperhand, Blackrocks, and more. AND DON’T FORGET – To drop by the Pink Pony Store.